Grew up… slinging guns throughout the American West. Bill earned himself a reputation as the fastest gunman in the country after fighting for the Union Army in the Civil War. Living… at the end of his luck, it seems. Bill is currently passing through the mining camp of Deadwood, in the Dakota Territory. 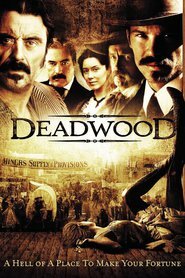 He was drawn to Deadwood primarily for the gambling and the free-flowing whiskey. Profession… gun-slinger, law enforcer and, nowadays, gambler. Bill has always been known to enjoy a game of cards, but he’s recently taken it up as a full-time activity. While Bill prefers to remain peaceful, he never shies away if he’s confronted. Relationship Status... recently married. But he’s left his wife behind for now as he seeks his fortune at the gaming tables. Deadwood is no place for a lady. Challenge… living out the rest of his life in peace. Bill is tired of being “Wild Bill Hickok.” He says that he wants to stop trying to live up to the myth that he’s created for himself, and give into his pastimes-slash-addictions: gambling and whiskey. Personality… honest, virtuous (at least, formerly virtuous) and tired. Bill Hickok is a man who’s heading toward the back end an adventure-filled life, and all the action has made him weary. Although he uses his skills as a gunman to serve justice in Deadwood, he does so reluctantly. Bill, it seems, just wants to be left alone at the poker table. But in the lawless settlement of Deadwood, that might be easier said than done. Bill Hickok's popularity ranking on CharacTour is #4056 out of 5,000+ characters. See our top-ranked characters and read their profiles.